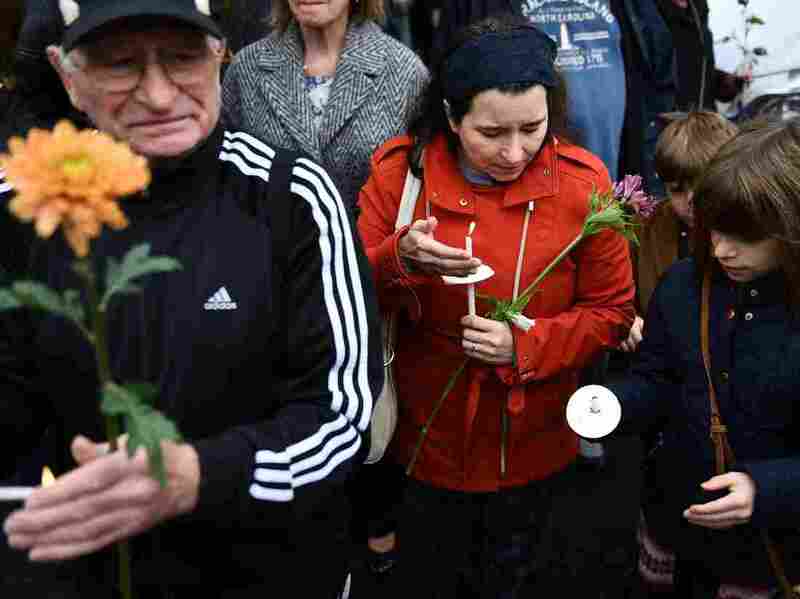 'Wonderful People, Good Souls': The Victims Of The Pittsburgh Synagogue Shooting The 11 people who were killed on Saturday ranged in age from 54 to 97. Two of them were brothers, and two were a married couple. Here are some of their stories. People pay their respects outside the Tree of Life synagogue in Pittsburgh. The 11 people who were killed on Saturday ranged in age from 54 to 97. 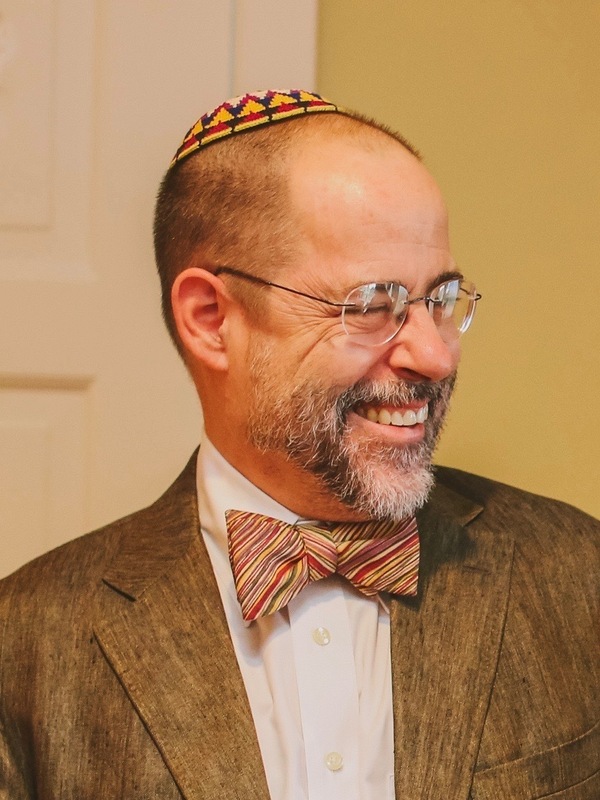 "These are wonderful people, good souls, who were just coming to synagogue as they usually did," he told NPR on Sunday. "Synagogue was just getting started and mostly elderly people who come there are there at the beginning, and you could count on them every week for coming. ... It's such a crime that their lives were taken from us." But he said the city's residents are coming together to support one another after the tragedy. "Pittsburgh," he said, "is a wonderful community. It's not only a wonderful Jewish community, it's just a wonderful community." The names of the victims were released on Sunday morning by the Allegheny County Office of the Medical Examiner. Here are some of their stories, updated as we learn them. Rose Mallinger, 97, of Squirrel Hill, was the oldest of the victims. Diamond told NPR that Rose "was in her 90s, but she was one of the younger ones among us, I have to tell you, in terms of her spirit. Rose was wonderful." Daniel Stein, 71, lived in the Squirrel Hill neighborhood of Pittsburgh. He is the former president of the New Light Congregation, a Conservative synagogue that held services at Tree of Life. He was remembered for his kindness. "He was always willing to help anybody," his nephew, Steven Halle, told TribLIVE, formerly The Pittsburgh Tribune-Review. "He was somebody that everybody liked, very dry sense of humor and recently had a grandson who loved him." Melvin Wax, 88, also of Squirrel Hill, was remembered as a pillar of the New Light Congregation. "Known as Mel to everyone, he was a generous, sweet man, who would help anyone," his family said in a statement. "We recently found out that even though he was 88, he parked several streets away from the synagogue to leave the closer spaces to 'those who need them more.' "
He is survived by a daughter, a son-in-law, and a grandson. "He was such a kind, kind person," his friend and fellow congregant, Myron Snider, told the Associated Press. "When my daughters were younger, they would go to him, and he would help them with their federal income tax every year. Never charged them." Snider said Wax was a bit hard of hearing and unfailingly attended Friday, Saturday and Sunday services, filling in at nearly every role if someone didn't show up. "Just a sweet, sweet guy," he said. Jerry Rabinowitz, 66, of Edgewood Borough, was a family doctor. He practiced in a "small, cozy office in Pittsburgh's Bloomfield neighborhood," TribLIVE reporter Ben Schmitt wrote in a personal remembrance. Rabinowitz was his father's doctor, and his own. Schmitt recalled how his father became ill on a trip to India and called Rabinowitz in Pittsburgh for advice. The doctor called his father every day for the rest of his trip to check in on his health. "I felt like I was in such competent, caring hands," Schmitt's father said. "Such a kind and gentle man." Rabinowitz also was the personal physician to former Allegheny County Deputy District Attorney Lawrence Claus, who released a statement on Sunday remembering him. "Dr. Jerry Rabinowitz ... was truly a trusted confidant and healer who could always be counted upon to provide sage advice whenever he was consulted on medical matters, usually providing that advice with a touch of genuine humor," said Claus, according to CBS affiliate KDKA. "He had a truly uplifting demeanor, and as a practicing physician he was among the very best." Cecil Rosenthal, 59, and David Rosenthal, 54, were brothers who shared an apartment in the Squirrel Hill neighborhood. Raye Coffey, a close friend and former neighbor of the Rosenthals' parents, told TribLIVE that the Rosenthals spent a lot of time in her house when they were younger. She said the brothers faced mental challenges and were fixtures at Tree of Life, where Cecil was a greeter. "Cecil was always a big brother. He was very warm and very loving. Whenever he would see us, he would always say, 'Hi, Coffeys!' "
"David was quieter," she said. "But both were ... to die like this is horrendous." ACHIEVA, an organization that works with people with disabilities, said that the brothers were well-respected members of its community. Chris Schopf, who runs the group's residential programs, said the brothers never missed a Saturday at Tree of Life. "If they were here they would tell you that is where they were supposed to be," Schopf said in a statement. "Cecil's laugh was infectious. David was so kind and had such a gentle spirit. Together, they looked out for one another. They were inseparable. Most of all, they were kind, good people with a strong faith and respect for everyone around." Bernice Simon, 84, and Sylvan Simon, 86, of Wilkinsburg were remembered by neighbors as sweet, kind and generous. They were married at Tree of Life in December 1956, according to TribLIVE. "A loving couple and they've been together forever," longtime friend and neighbor Michael Stepaniak told the news site. "I hope they didn't suffer much and I miss them terribly." Joyce Fienberg, 75, lived in Pittsburgh's Oakland neighborhood and grew up in Toronto. She had two sons and was remembered as a proud grandmother. "[She was] the most amazing and giving person," her brother, Bob Libman, told the CBC. Fienberg was a researcher at the University of Pittsburgh's Learning Research and Development Center for more than 25 years. In a statement on Sunday, the center called her "a cherished friend" and "an engaging, elegant, and warm person." "She was very intellectual," Leinhardt said. "But also people would just always open up to her in a very easy way. She was an ideal observer." Her husband, internationally celebrated statistician Stephen Fienberg, died in 2016. Leinhardt told The Post that Fienberg had been especially involved at Tree of Life since her husband's death. "I just can't say how terribly sad I am that this person isn't in the world anymore." Richard Gottfried, 65, of Ross Township, shared a dentistry practice with his wife. The two met as dental students at the University of Pittsburgh, The Post reports, and they volunteered with Catholic Charities' dental clinic. He was said to be an avid runner and had been going to services at Tree of Life more often recently. Irving Younger, 69, ran a real estate business in Squirrel Hill for many years and was also a youth football and baseball coach. Tina Prizner, who lived next door to Younger in the Mt. Washington neighborhood, remembered him as "the most wonderful dad and grandpa" and as a devoted member of his congregation. "He went every day. He was an usher at his synagogue, and he never missed a day," she told TribLIVE. "He was a beautiful person, a beautiful soul." NPR's Cameron Jenkins contributed to this report.